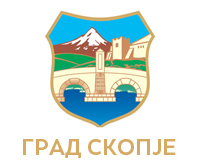 President of the Council of the Municipality of Suto Orizari is Fatima Osmanovska. Fatima Osmanovska was born in Skopje. She acquired her education at the University of Ss. Cyril and Methodius – Faculty of Philosophy – Institute for Social Work and Policy. During the studies and after completing the same, he acquired his practical experience in the Roma non-governmental sector, in sectors related to Roma issues, health, welfare, education and social inclusion. Fatima during her professional engagement was elected as the President of the Association IRIZ – Initiative for Development and Inclusion of Communities and Coordinator in the implementation of projects for the promotion of the situation of Roma. As a long-time activist, there is a significant contribution to the development of the Roma community in terms of ensuring equal access to education, employment, political participation, social inclusion and gender equality. She upgrades her expertise with active participation in international conferences, seminars and congresses. 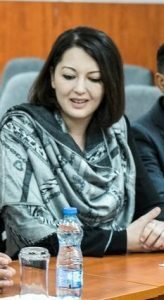 In the local elections in 2017 she was elected as an adviser, and then for the President of the Council of the Municipality of Shuto Orizari.